Brandon October is a South African singer who came to fame as the runner-up of the inaugural season of the music reality TV competition Idols, in 2002. October was born in Cape Town at Groote Schuur Hospital - home of the world's first heart transplant. A third generation Jamaican, he was surrounded by a family of singers and music became a big part of his life. Evidence of his singing talent was evident from an early age and very soon he was performing vocal solos in church. He then went on to perform with choirs and quartets in which he gained more experience. Thereafter he sang first tenor with a gospel group called From The Heart Singers and spent 5 years with the group touring around South Africa. He then moved to Johannesburg and very soon was invited to join another group called No Compromise. While singing for No Compromise a work colleague entered him in the Idols South Africa competition, in which he was the runner-up, losing out to winner Heinz Winckler. October has been busy making a name for himself since his Idols debut through live performances, competition judging, TV presenting on kykNET, motivational speaking, MC work, corporate entertainment, charity functions and event appearances. His ability to perform in both English and Afrikaans has afforded him the opportunity to participate in prestigious events around South Africa, Africa and overseas. He performed the opening theme song at the World Summit for Sustainable Development hosted by South Africa in 2002, which was broadcast to millions of viewers around the world. 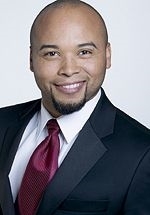 Brandon has traveled internationally and performed in New Orleans, France, London, Dubai, and Egypt. He travels around South Africa extensively, singing and entertaining audiences, in and around Africa to Namibia, Botswana, Zimbabwe and Zambia. Brandon has shared the stage in South Africa with numerous established entertainers and musicians, including Amanda Strydom, Gloria Bosman, Coenie De Villiers, Danny K, Koos Kombuis, Patricia Lewis, Zamajobe, Boom Shaka's Lebo, Timothy Moloi, Danie Niehaus, Kevin Leo, Anke Pietrangeli, Lindiwe Alamu, Nataniël, Juanita Klaasen and Sarah Theron. He has appeared on TV shows such as Dis Hoe Dit Is with Steve Hofmeyr, Noot vir Noot (he's appeared on the show twice and was also guest artist on the Noot vir Noot Roadshows), Blonde Ambisie with Patricia Lewis, Supersterre (also with Patricia Lewis), Kwela, Stook, 3Talk With Noleen, and many more. He has featured and graced the covers of many magazines and publications in South Africa and Africa. His media popularity has seen him secure a number of sponsorships, from both leading South African brands as well as international labels such as Tommy Hilfiger and Sennheiser. His debut album Temptation was released in October 2003 and was nominated for a 2004 SAMA award in the category of Best Pop Album. Three singles off the album also achieved chart-topping status at both national and regional radio in South Africa.